Here are two amazing graphics by Scott Brown Graphics. One show’s how life actually was in the old California Mission complexes and the other is a great history of Father Junipero and how he founded the 21 California Missions. Students will be given an option to create a model of the mission that they have researched. They may earn up to 20 points that will be credited towards their Social Studies grade. The mission model will be due the same day as the mission report. When building the mission, please refer to the following guidelines and rubric in order to earn the maximum amount of points. The mission may be made out of cardboard, craft sticks, LEGOS, sugar cubes, Styrofoam, clay, wood, mud, mini tiles or anything else your creative mind can think of! 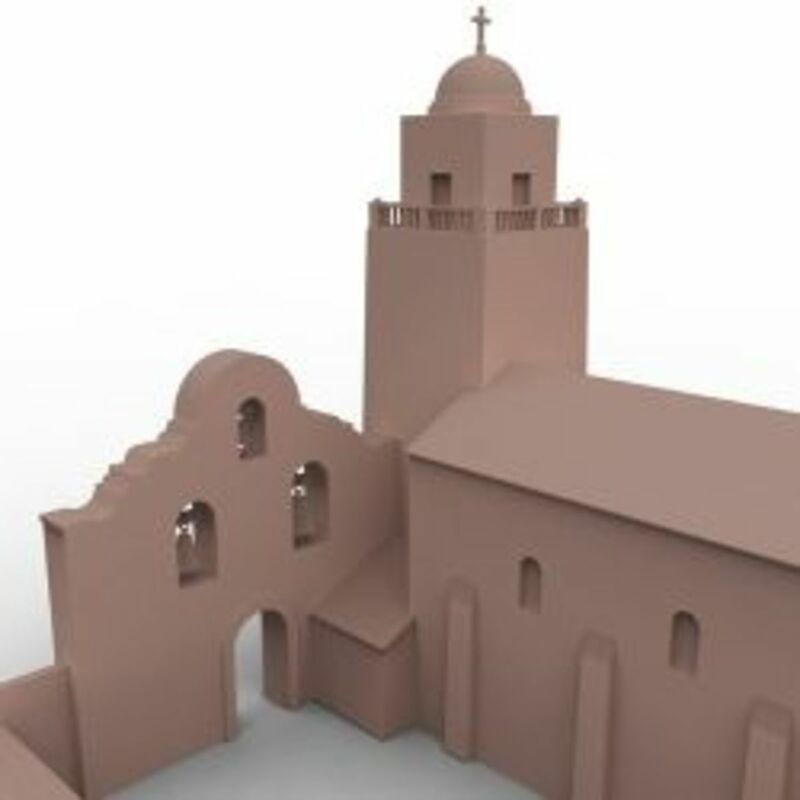 Summary: Gives instructions for building a model of a California mission building. Also includes a brief history of the missions and their building techniques. Amazon offers you e-books for several California fourth grade mission projects. Appropriate materials were selected and creatively used to improve overall architectural and landscape display. A mission kit was not used. Appropriate materials were selected and there was an attempt at creative use to improve overall architectural and landscape display. A mission kit was not used. Appropriate materials were selected, but not accurately used to improve overall display. A mission kit was not used. Inappropriate materials were selected and contributed poorly to display or a mission kit was used. Great care taken in construction process so that the structure is neat, attractive and follows plans accurately. Construction was careful and accurate for the most part, but 1-2 details could have been refined for a more attractive product. Construction accurately followed the plans, but 3-4 details could have been refined for a more attractive product. Construction appears careless or haphazard. Many details need refinement for a strong or attractive product. All areas of the mission are accurately labeled using appropriate vocabulary terms. (Refer to last page in instructions packet.). Most areas of the mission are accurately labeled and use appropriate vocabulary terms. Areas of the mission are either incorrectly labeled or not labeled at all. Size requirements were adhered to. Size requirements were not adhered to. No or not clearly visible identification card on mission or missing some of the required information. Here is a great tutorial that I found at HubPages.com, author unknown, to help you build your California mission project! We’re all facing the great California Mission project this year. Those of you who have children in the 4th grade in CA know what I’m talking about. I made one in my 4th grade year, and now it’s turn for my daughter to make one of her own. Use the code “10DOAPAT” to receive your 10% Discount On Any Product Any Time!